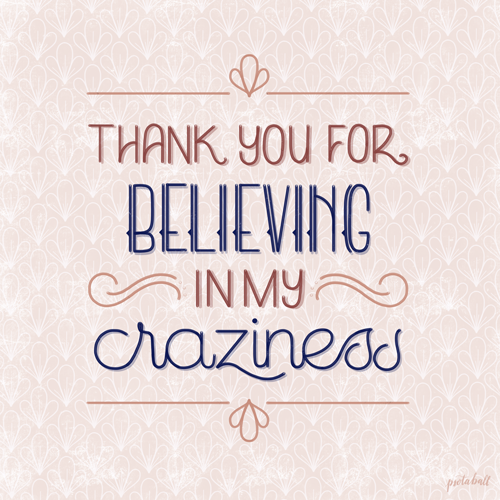 This isn’t your grandma’s lettering challenge (sorry grandma, love you!). 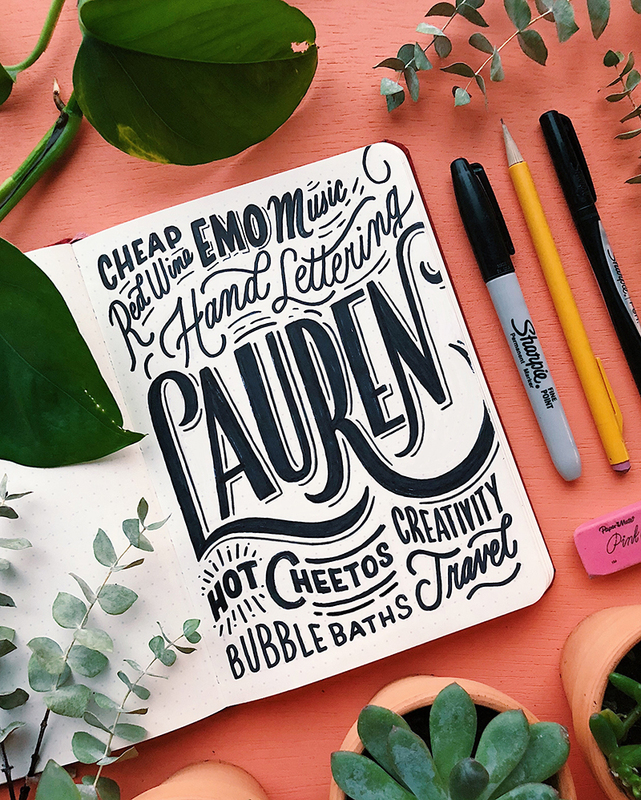 HOMwork is a free, weekly creative challenge to help you sharpen your lettering skills, stay motivated to create, and *finally* get comfortable sharing your work online. Each prompt is packed with insightful musings about the creative process and standing out online. If you’re bored of lettering challenges that just give you a list of words, HOMwork might be exactly what you need. Below, you’ll find every assignment from 2018 to complete at your own pace (or just read for inspiration!). Make sure to browse #HOMwork on Instagram to see the artwork that people have created from these prompts! And if you know anyone who needs a creative boost, send them this page or give them the link to sign up for the newer 2019 prompts! Want access to the new 2019 challenges? Subscribe here and receive a brand-spankin’ new assignment from me in your inbox every Friday morning at 7am EST. You’ll also get access to my FREE Creative Resource Library of tutorials, worksheets and resources for designers & creative entrepreneurs! Seriously, I’ve gotten the sweetest emails from participants who say they actually look forward to opening their email on Friday mornings because of HOMwork. Yup, that one’s definitely getting added that to my resume. Your very first HOMwork assignment is here! "I'll post it when it's perfect (aka never)." A behind-the-scenes video of me lettering another old piece & talking you through my design thinking. How to stop running out of ideas! Roses are red, violets are blue, Valentines are boring. Who's your hero and why? Reflecting on the people who inspire us this week. Celebrating the little white lies we tell ourselves! In honor of the project that launched my career in 2013, create your own Daily Dishonesty. This week, we're getting deceptively dirty. Guest post by Alyssa Robinson. Guest post by Joseph Alessio. Guest post by Mye De Leon. Guest post by Nim Ben-Reuven. What's your super secret shame snack? 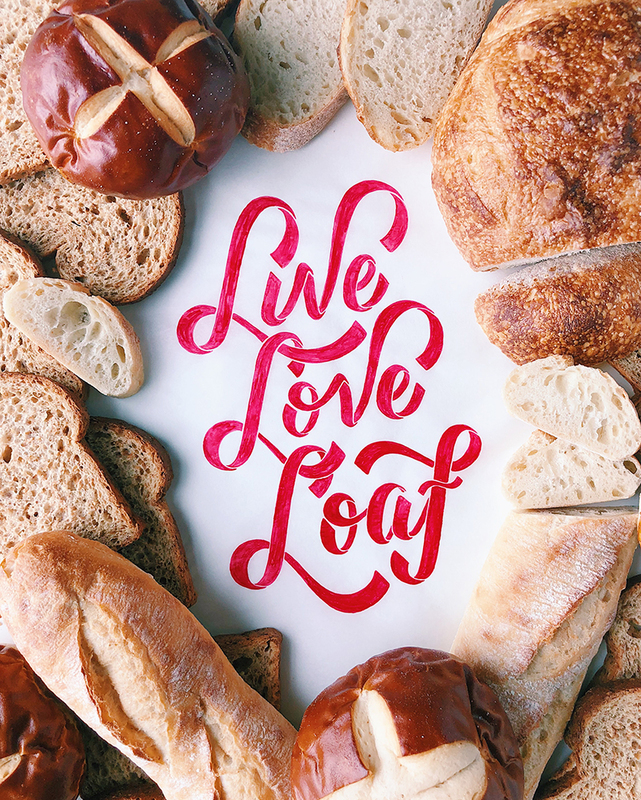 Show us your most glorious food pun! Guest assignment by Scotty Russell. What are you going to challenge this year? Can't get you out of my head. Let's rhyme! Groceries have never looked this gorgeous! I'm in a sketchbook of emotion. Let’s get inspired by the people we’ve admired. How do you make your dreams come true? Write them down first! It's the little things...that ruin your day. What are you REALLY saving those pennies for? Inspired by Vera Drmanovski's passion project, ArtWord of the Week. Some things were just meant to be. Lessons learned = wisdom earned. Your weakness could be your hidden strength. Guest assignment by Terence Tang. You can dish it, but can you take it? Guest assignment by Dan Lee. Guest assignment by Becca Courtice. Guest assignment by Adam Grason. In a creative rut? Try doing this. Want to build a career you love? Start by loving yourself. The best gift you can give is support. Call me old-fashioned, but we NEED to stop doing this. Count orgasms, not calories in 2019. PS If you know someone who needs a creative boost, send them this link to sign up for HOMwork + a bunch of other helpful resources!